Long Lake Lutheran Church began as a congregation on September 10, 1891, when 13 Swedish immigrant families began meeting at the home of Andrew Lindman. Rev. 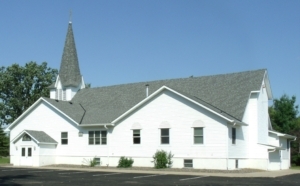 G. F. Tornell of Anoka was asked to preach every sixth Sunday to “The Swedish Evangelical Lutheran Congregation in Bradford, Isanti County, Minnesota”. Eventually a 40 x 30 foot building with four windows on each side was constructed. In 1913 a bell tower was added with a bell donated by the church’s Young People’s Society. In 1924 the Rev. August Lindquist confirmed the first class in English. In 1937, after many changes and much growth, the congregation voted to officially become Long Lake Lutheran Church. Today our congregation continues to grow and flourish in numbers and spirit. Through trust and assurance that God will lead us all the way, we strive to accommodate the needs of our church family, reach out to the community, and fulfill our mission of being Christ Centered, Purpose Balanced, and Mission Driven.